Can’t a pilot repair his craft in peace? If you’re tired of getting mauled while making minor repairs off world consider a Spinshot 2600™ auto turret. The Spinshot features an ARM96a processor and cutting edge AI to keep you safe. With motion, thermal, computer vision and audio sensors, it’s watching your back at all times. With a .002 second reaction time, high torque neomidium actuators and a full 360º sweep, it’s got the capability you’re looking for. The Spinshot 2600™, firepower with a brain. 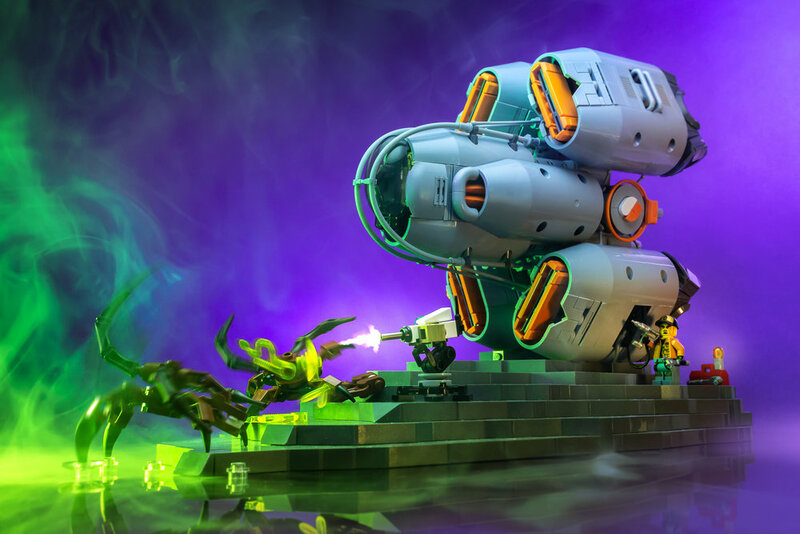 I don’t know why I can’t just say “check out this cool ship by Legohaulic”, I just can’t help myself sometimes.